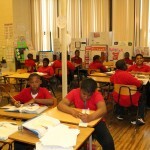 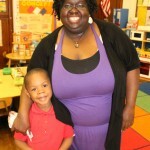 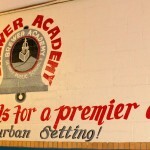 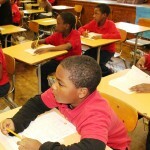 When any woman walks into a classroom at Brewer Academy on the city’s east side, the young men have been taught to immediately spring to their feet and provide the appropriate greeting—either “Good morning ma’am” or “Good afternoon ma’am.” And they do not sit back down until that woman acknowledges their greeting. 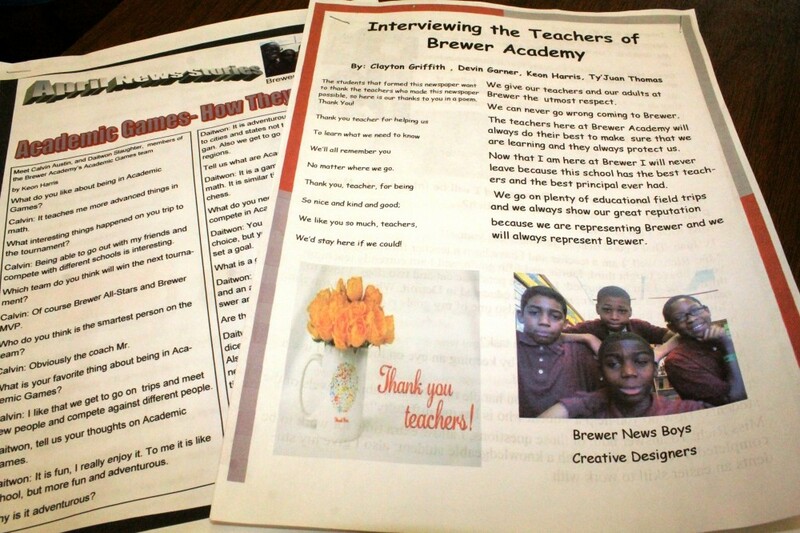 This simple yet highly impactful gesture is part of Principal Cecily Wilson’s plan to turn her “Brewer boys” into young men. 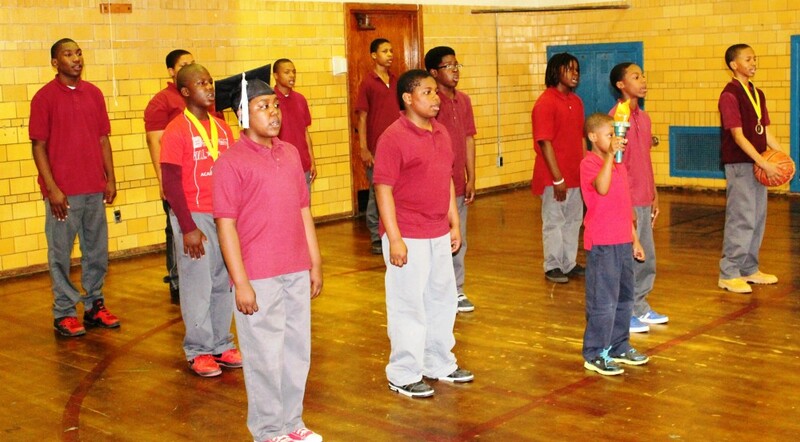 Several years ago, Wilson created the I Am a Man club to ensure “our young black boys are viewed as gentlemen,” she shares. 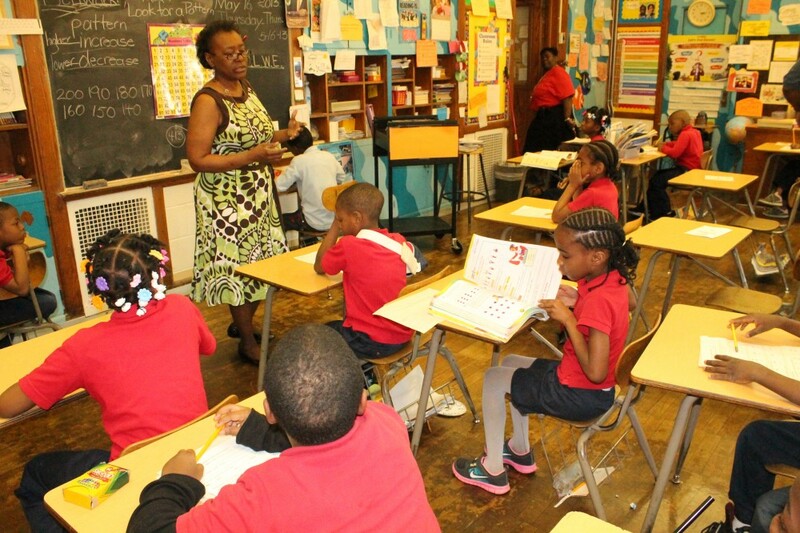 Beulah Cain Brewer, the first African-American principal in Detroit Public Schools—the woman that the school is named after—would be proud. 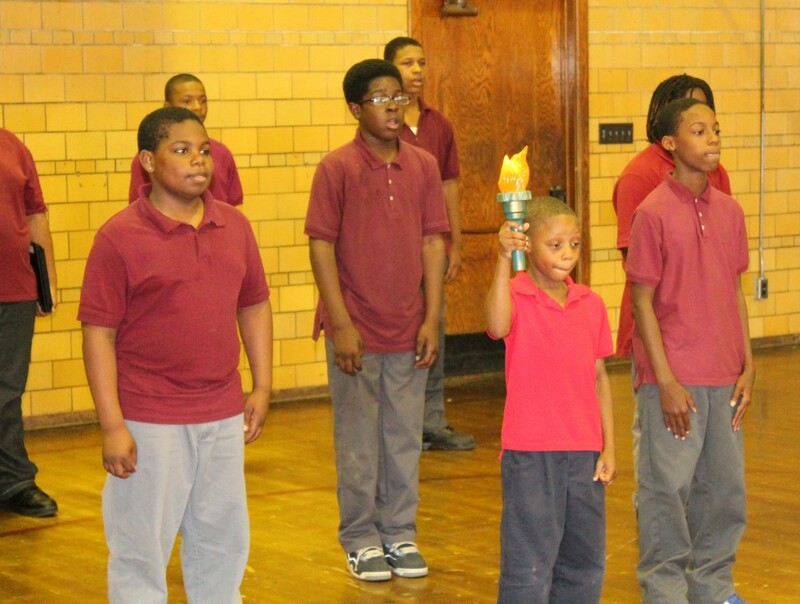 On a recent Thursday afternoon, the students of the I Am a Man club shared a special presentation and recited the poem, “I Am a Man” written by Principal Wilson specifically for club members. 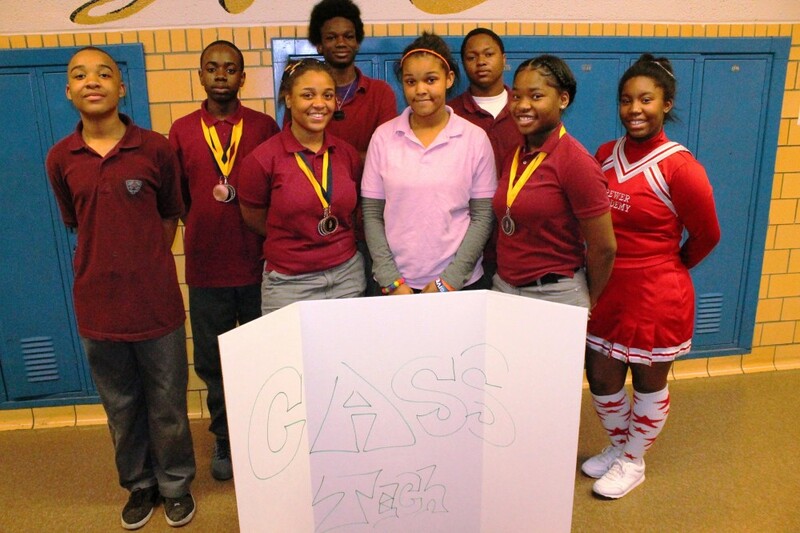 Standing upright in their collared maroon shirts forming three jagged lines in the school’s gymnasium, one student proudly dons a graduation cap, another holds a basketball, and another wears his Academic Games Championship medals. 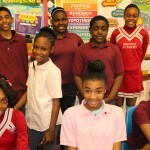 Together, the students recite the poem, then individually greet their guests with a firm handshake and a one-sentence confirmation that they are destined to succeed. 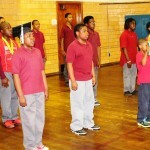 McIntyre, a 14-year-old eighth-grader at Brewer said being a member of the I Am a Man club has taught him something significant. 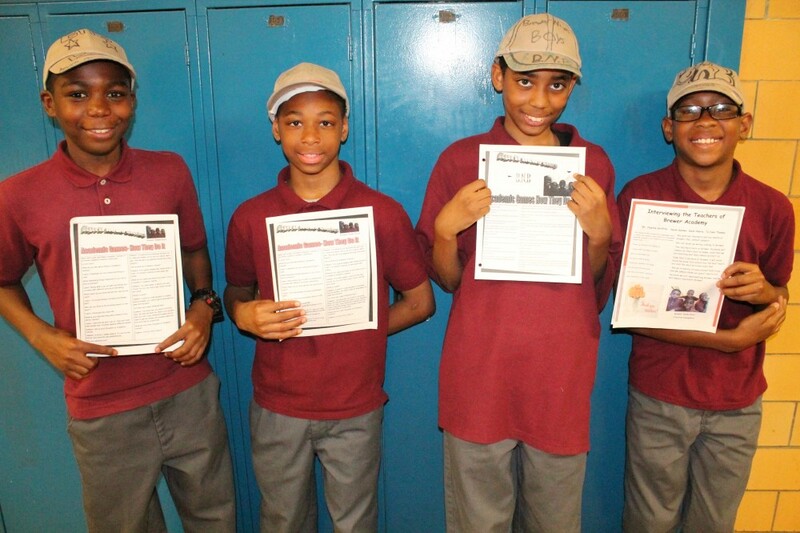 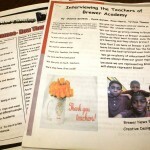 Every year, Principal Wilson selects a different group of young men to learn the poem and make it a part of their educational experience at Brewer. 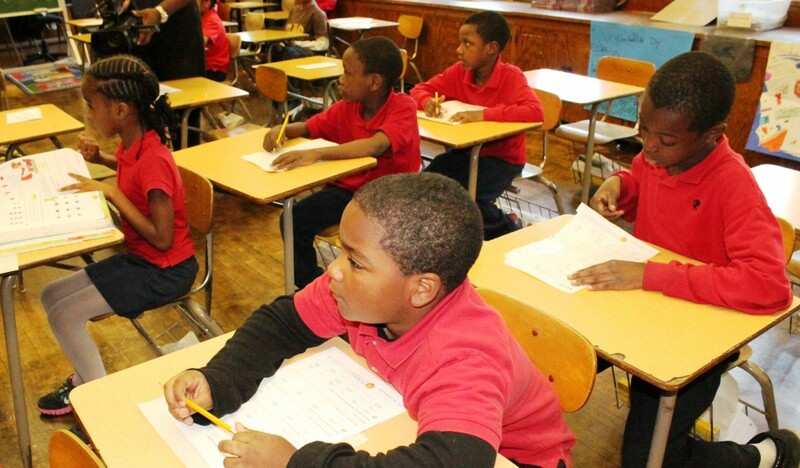 When the program first originated, teachers would recommend students who were struggling either personally or academically for the club. 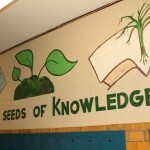 Wilson said students now ask to become members themselves without being prompted by a teacher. 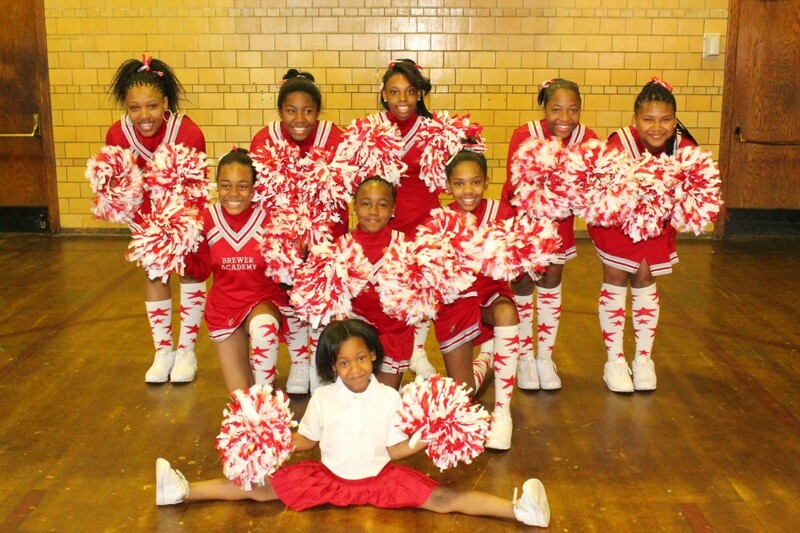 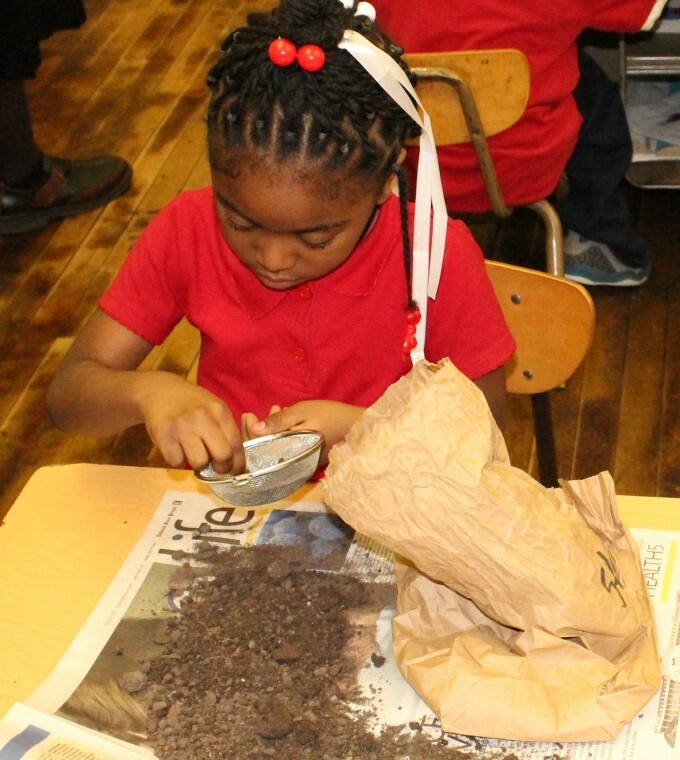 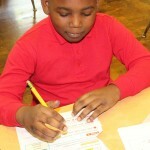 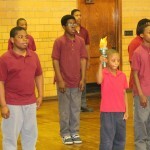 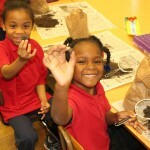 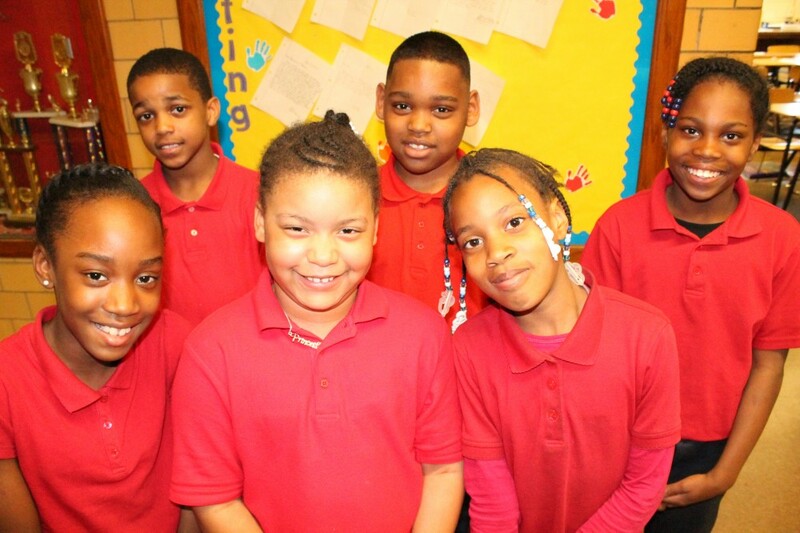 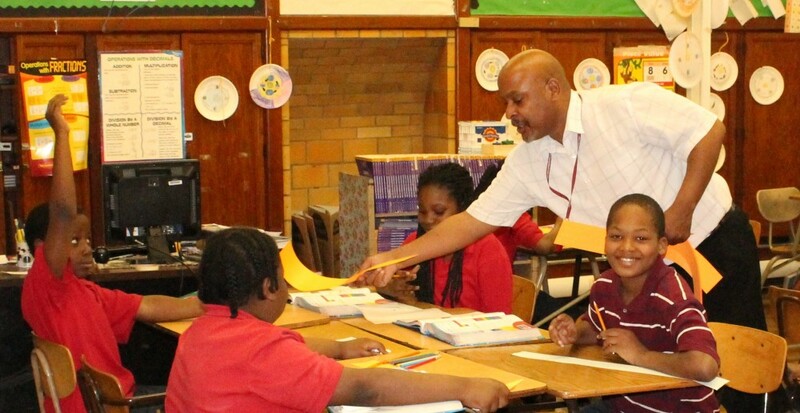 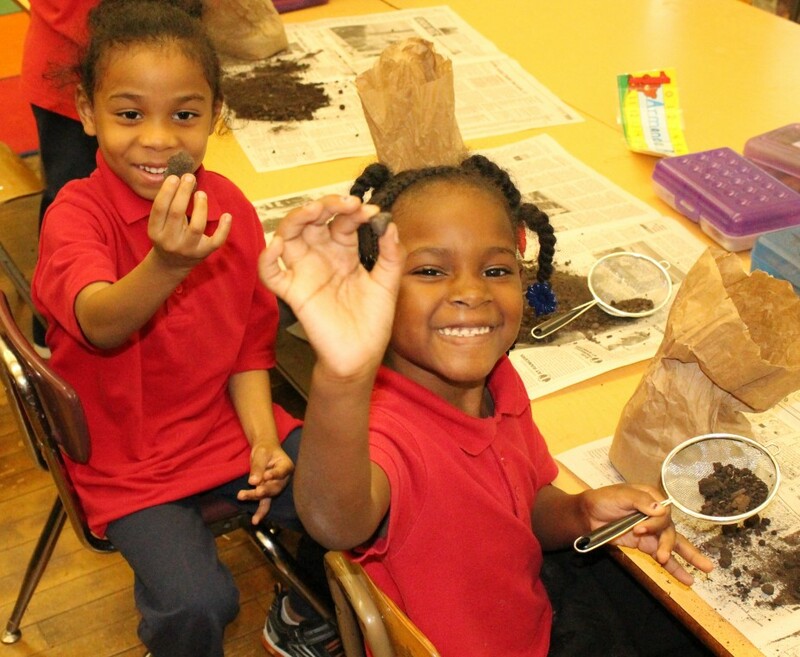 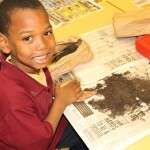 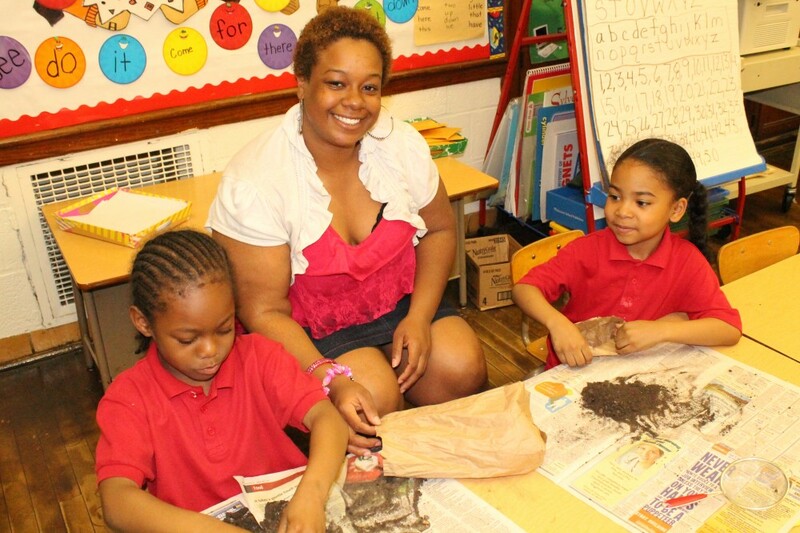 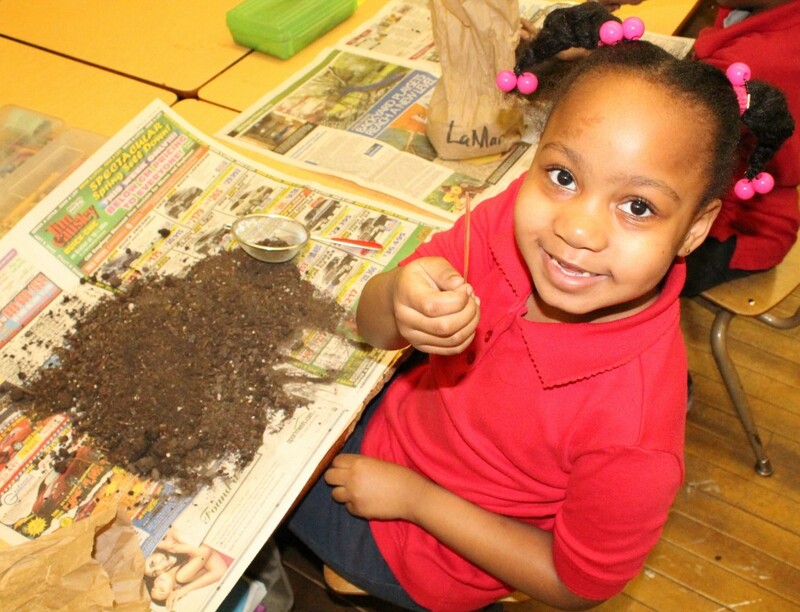 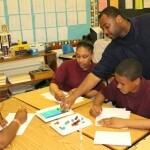 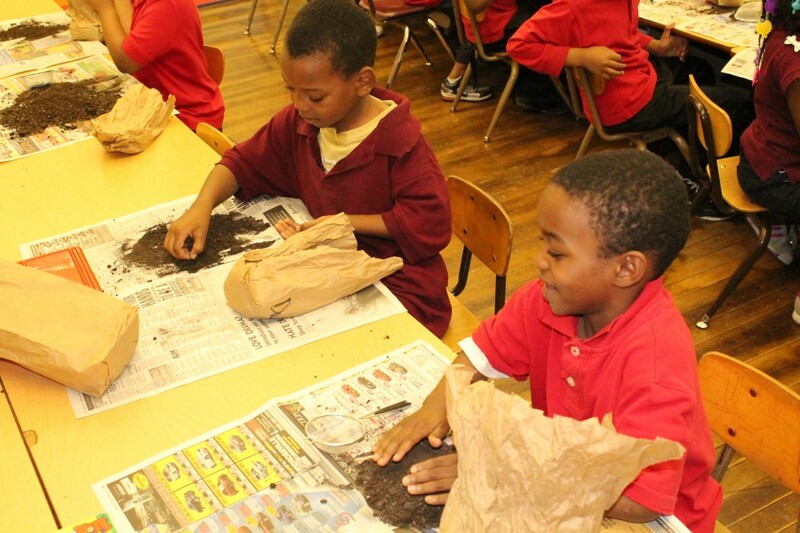 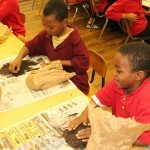 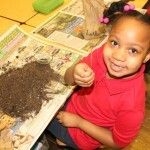 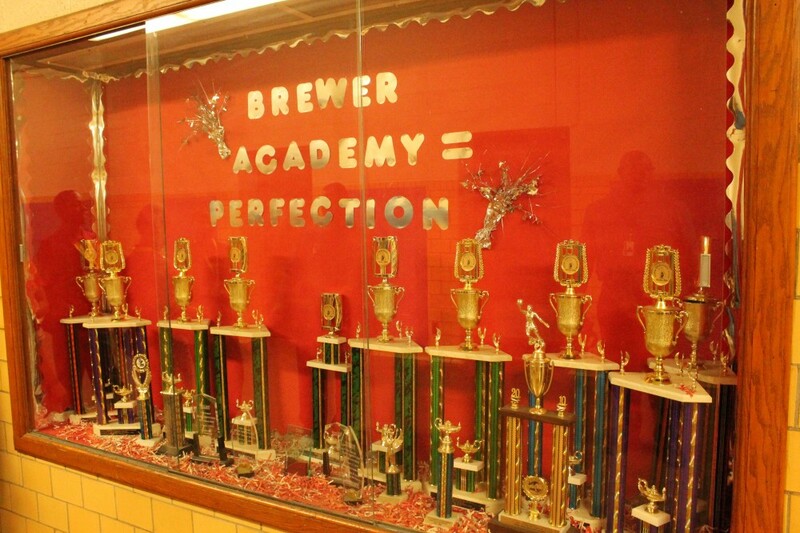 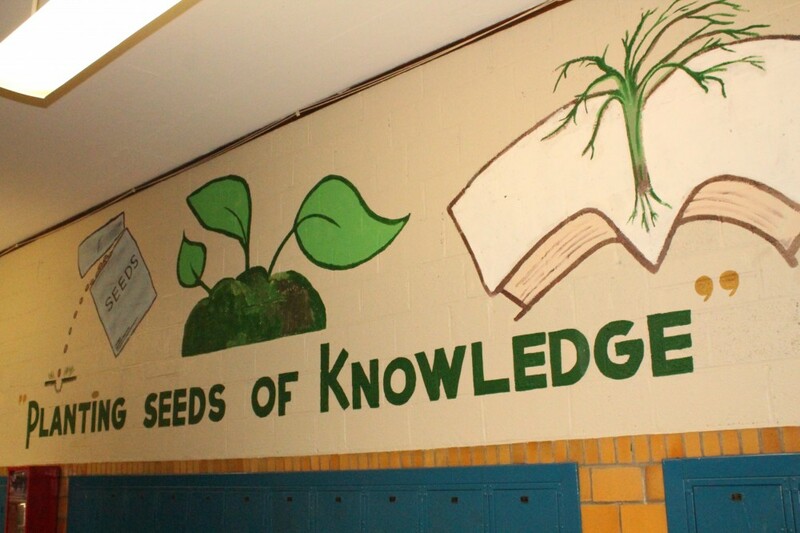 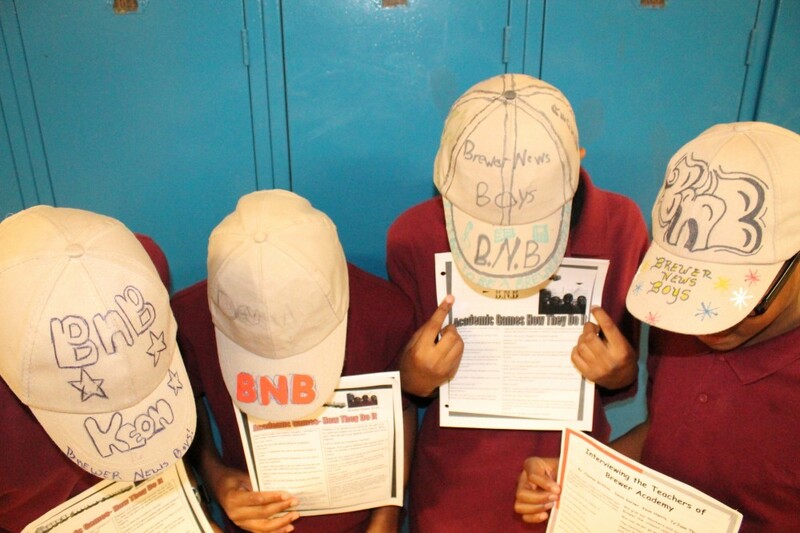 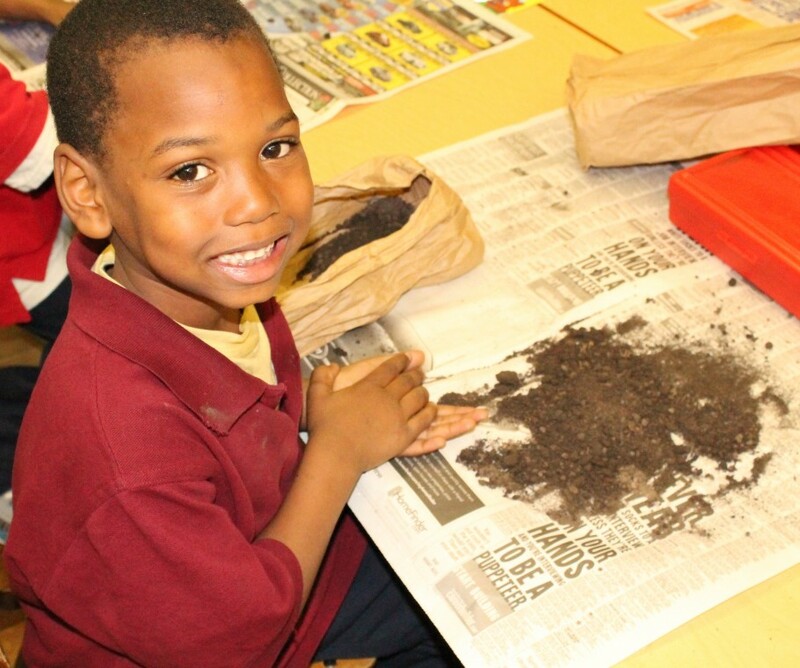 Similar to the I Am a Man club, all of the after-school programs and extracurricular activities at Brewer are purposefully tied to either personal or academic growth for the students. 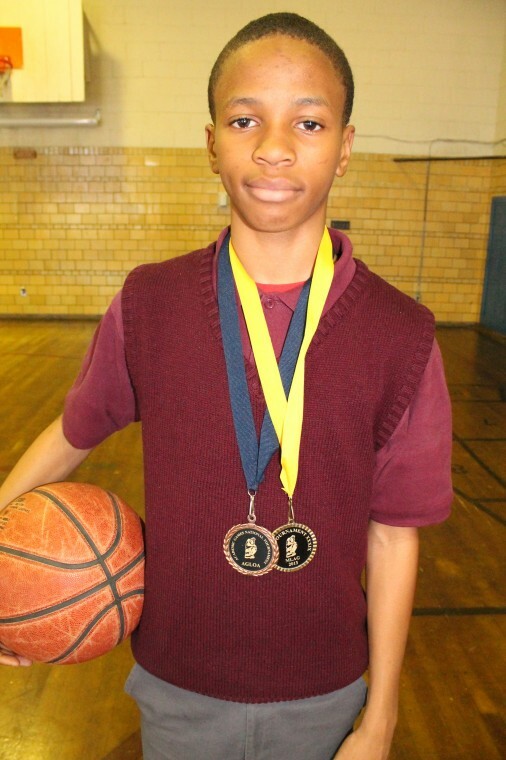 Tyjuan Nicholas Thomas, a 12-year-old seventh-grader at Brewer, is a member of the YES Club (Young Educators Society), Newspaper Club, Academic Games, Science Bowl and a host of other activities. 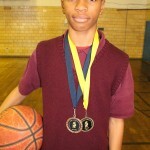 And by the way, he also holds a 4.0 grade point average. 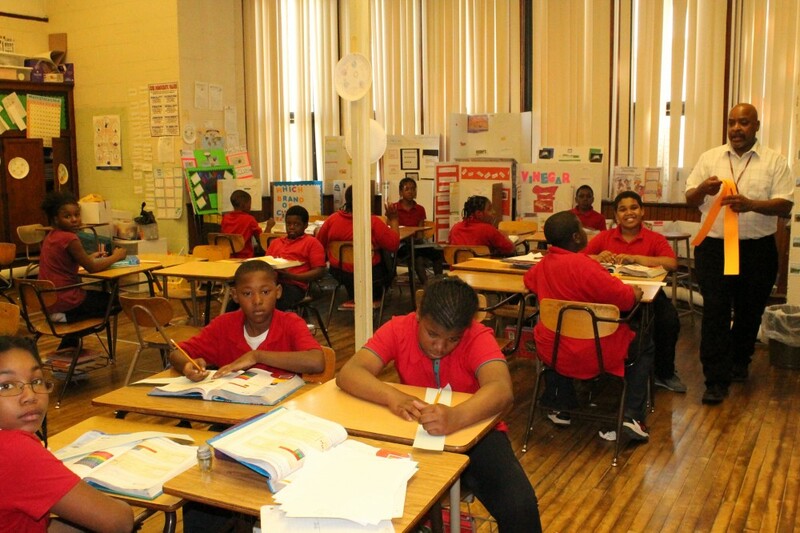 The students who are involved in the YES Club are all honor students in grades 6-8 who have an interest in teaching. 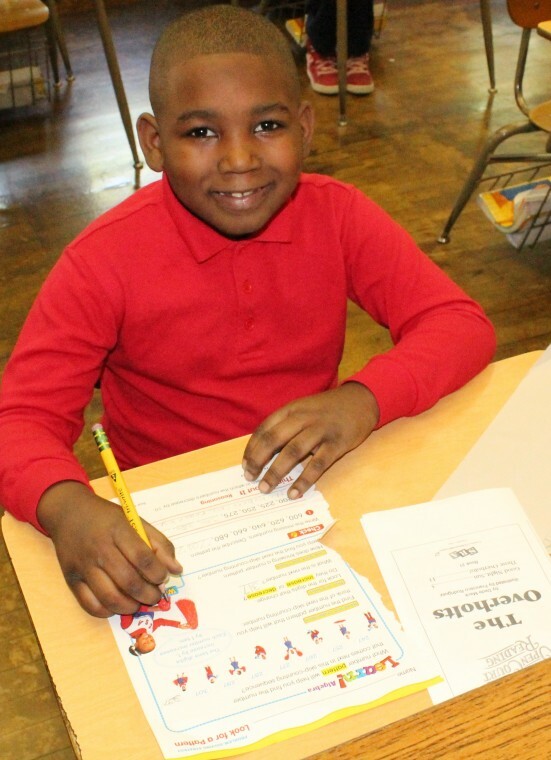 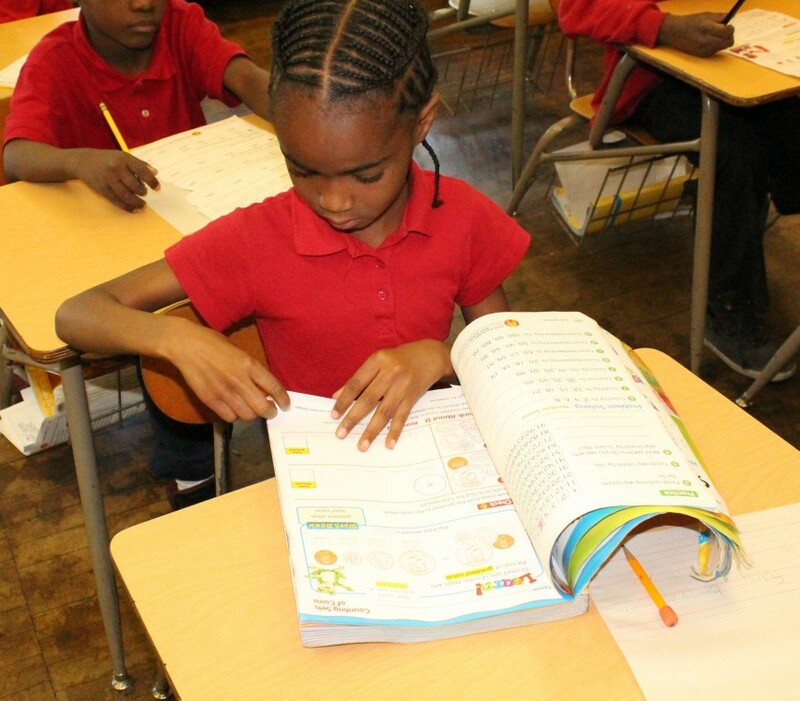 YES Club members are assigned to a specific elementary classroom where they work one-on-one with younger students three days per week for an hour each day. 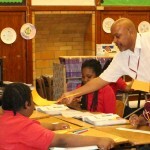 They read to the students, help with mathematics and other assignments, and intervene if the students are having behavioral problems. 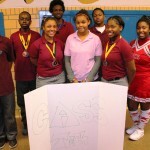 Thomas said he would encourage other students to get involved in multiple activities. 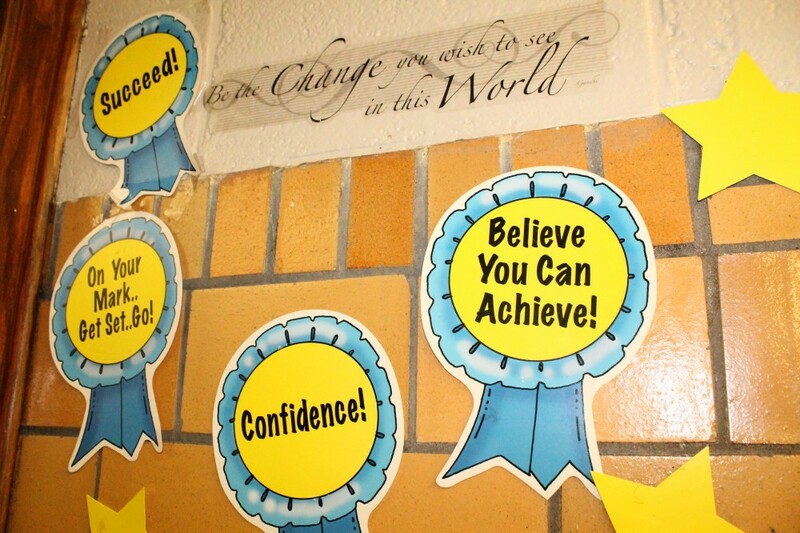 “It does help you out with being successful, too,” he says. 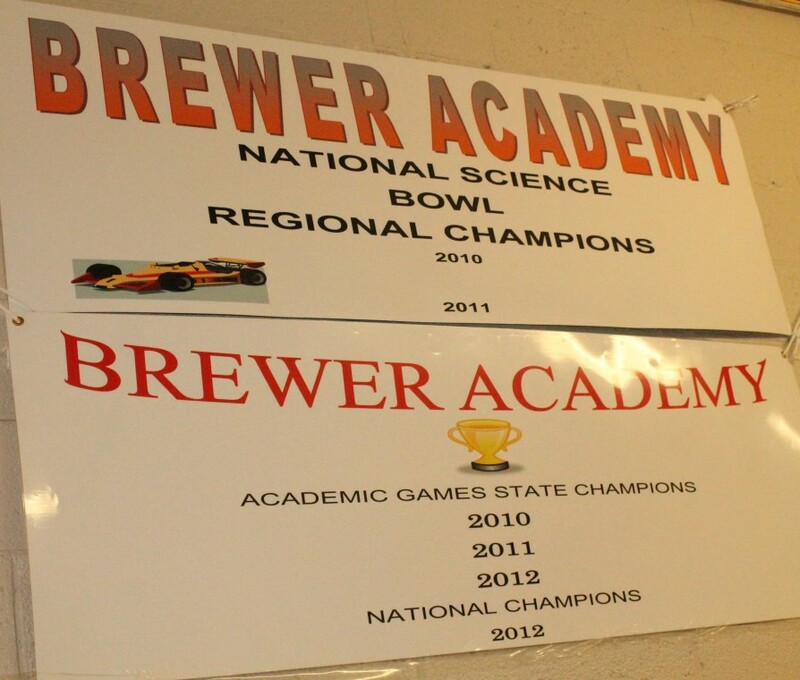 The academic clubs at Brewer are not just exciting for the students. 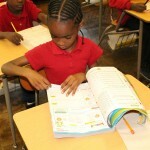 One in particular has even gained recognition from First Lady Michelle Obama. 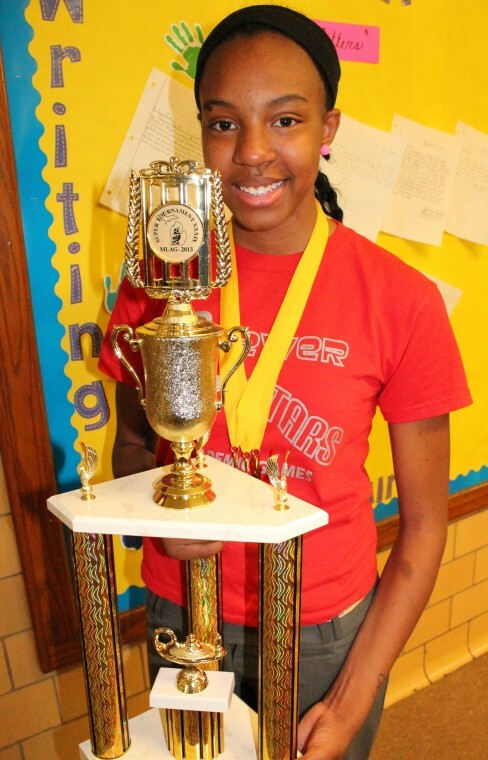 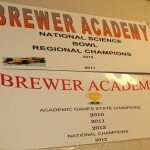 Brewer held the title of National Science Bowl Regional Champions in both 2010 and 2011, and was the only urban school to attend the National Science Bowl Championship, Wilson proudly boasts. 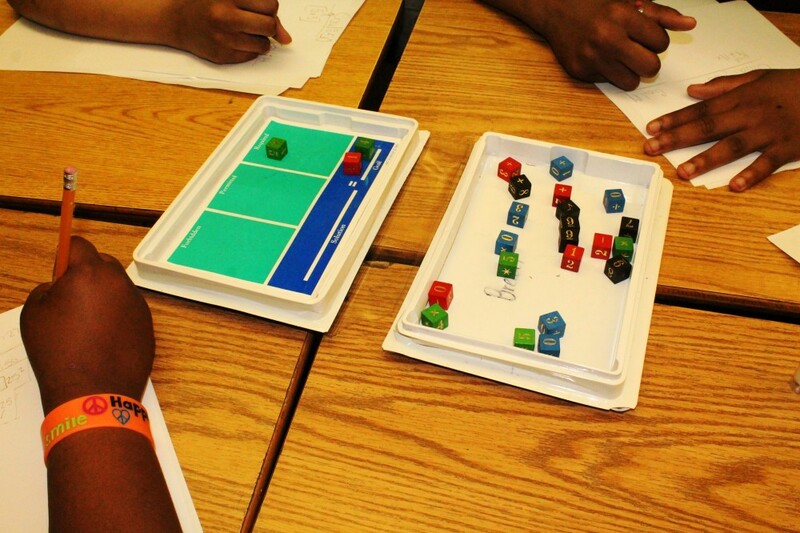 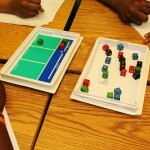 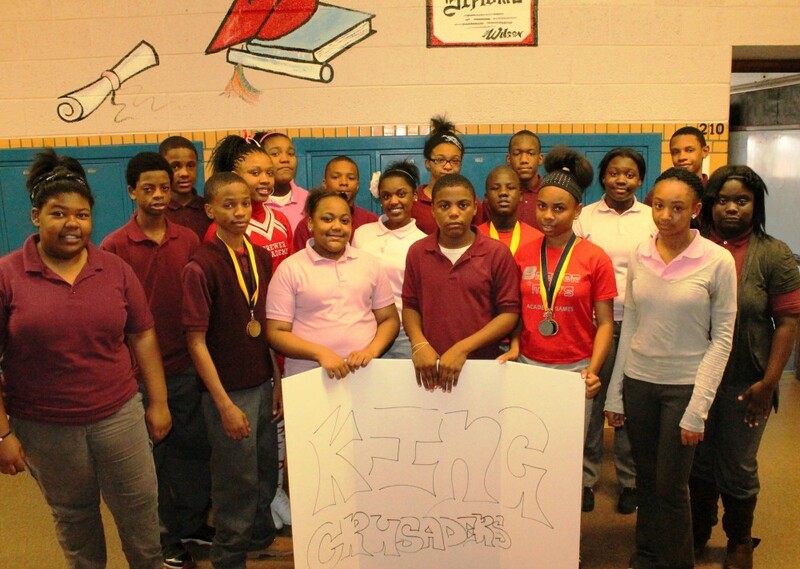 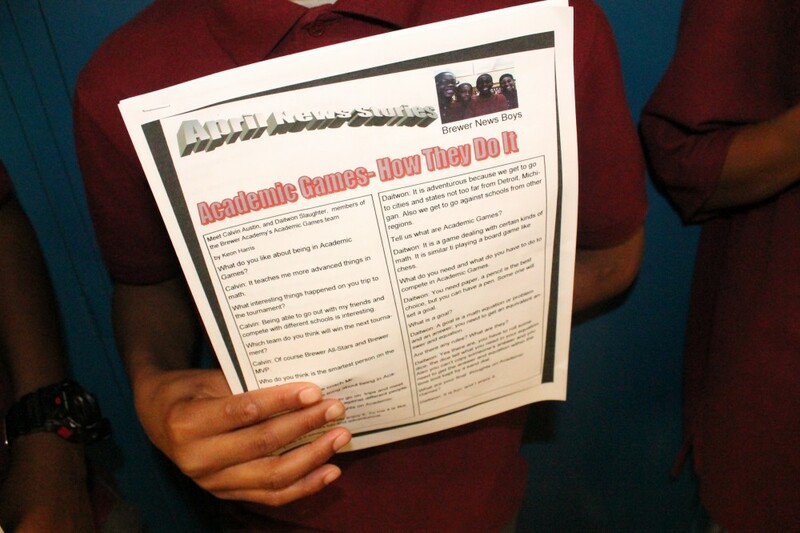 Another activity offered to students to not only engage them socially, but academically includes the Academic Games. 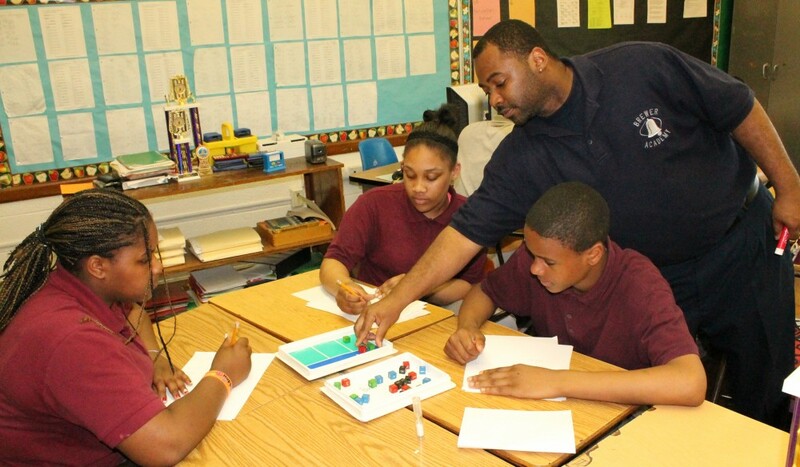 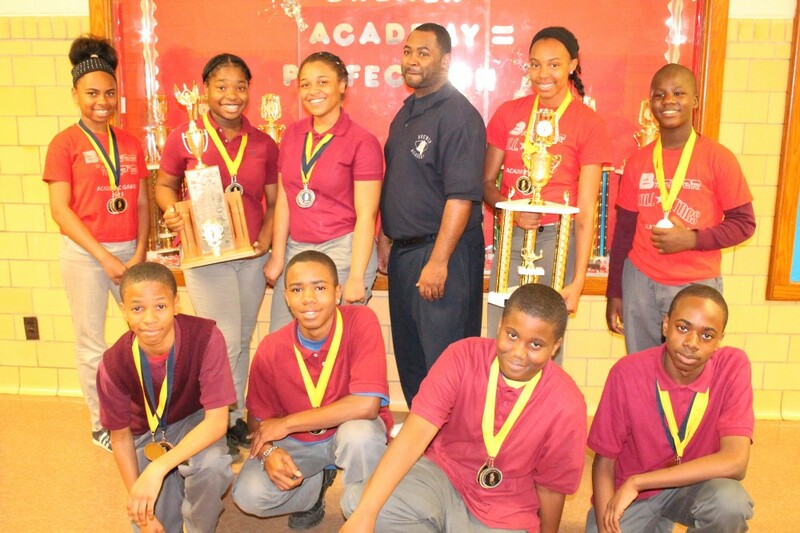 Coach Durand Shepherd, the middle school mathematics teacher, led his team to three Academic Games State Championships in 2010, 2011 and 2012, and two Academic Games National Championships in 2011 and 2012 in the categories of Equations and On-Sets. 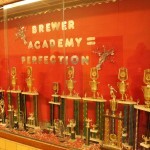 Brewer Academy finished first in the last four seasons of the school’s division and has won many championships, according to Shepherd. 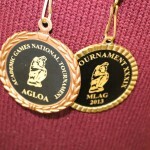 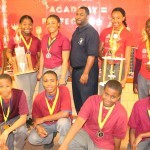 During the school year, the students compete once a month on Saturdays, then against other schools until the month of March. 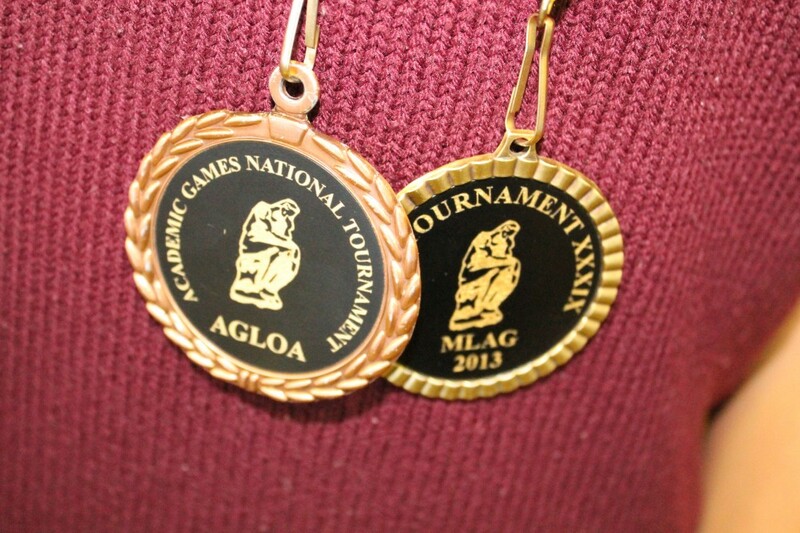 Students competed in the state tournament in Grand Rapids this year, and then in the national tournament in North Carolina in April. 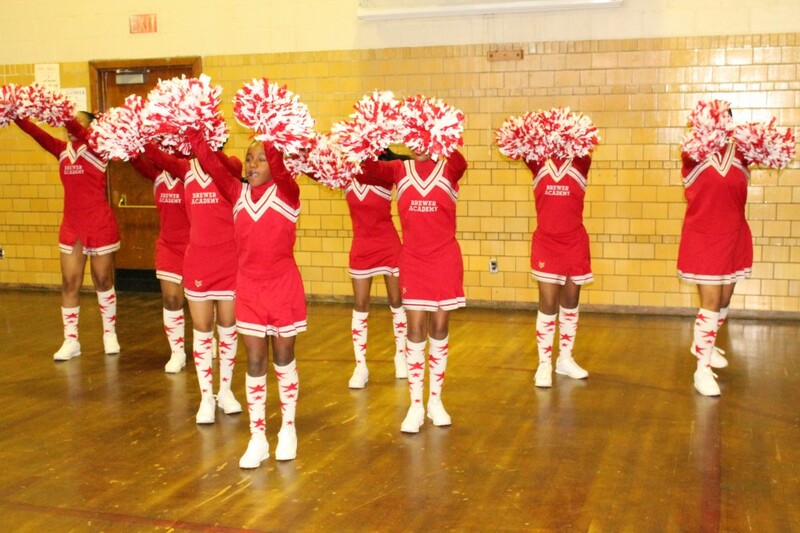 “These teams have had a remarkable season and once again are State Champions,” says Shepherd. 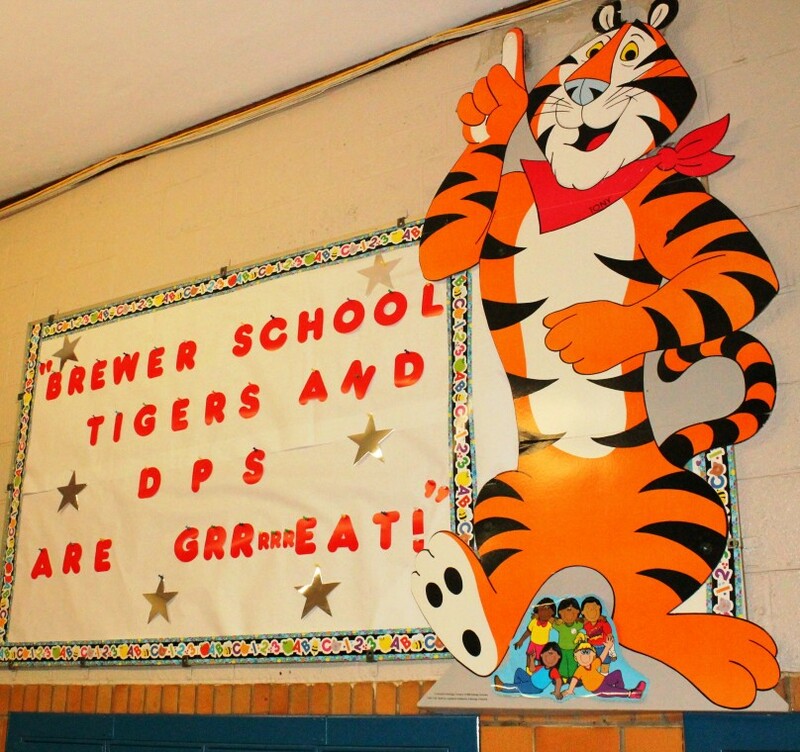 Having students participate in academic social clubs is paying off at Brewer. 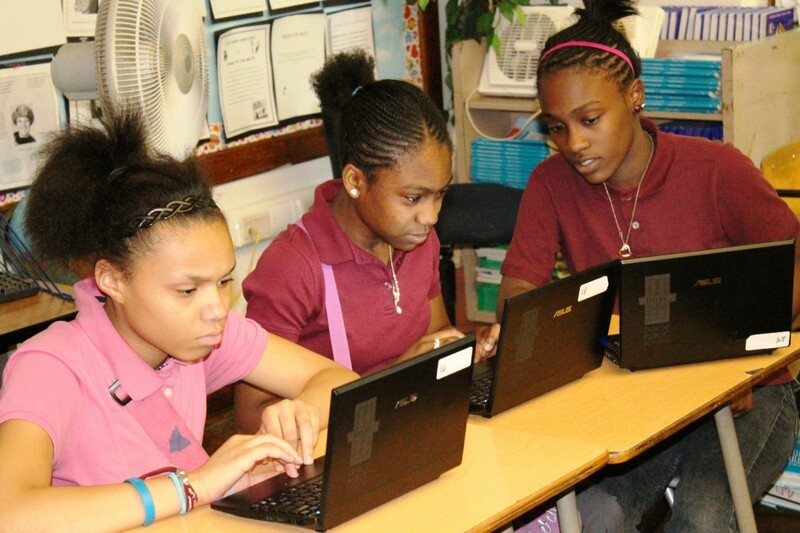 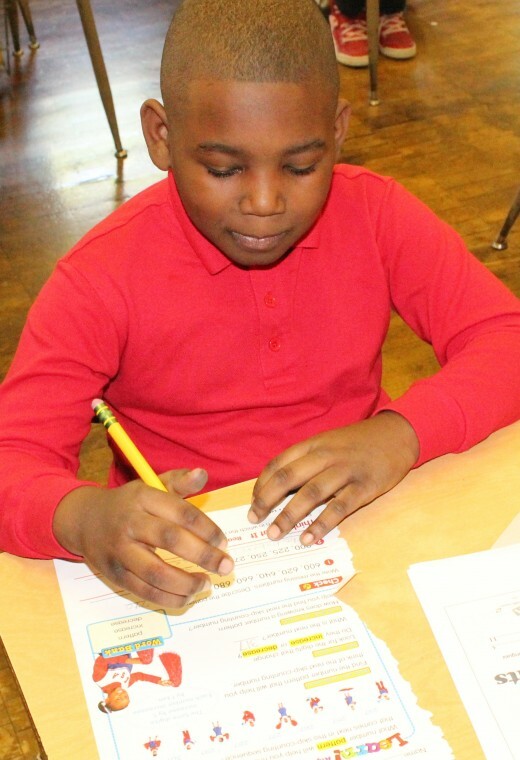 This year, the school saw a 30% increase in eighth-grade language arts on the MEAP (Michigan Educational Assessment Program) test and a 17% percent increase in eighth-grade math. 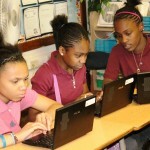 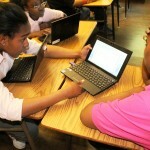 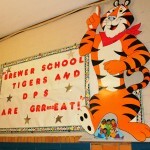 All middle school scores increased by double digits, and Brewer surpassed the district in gains. 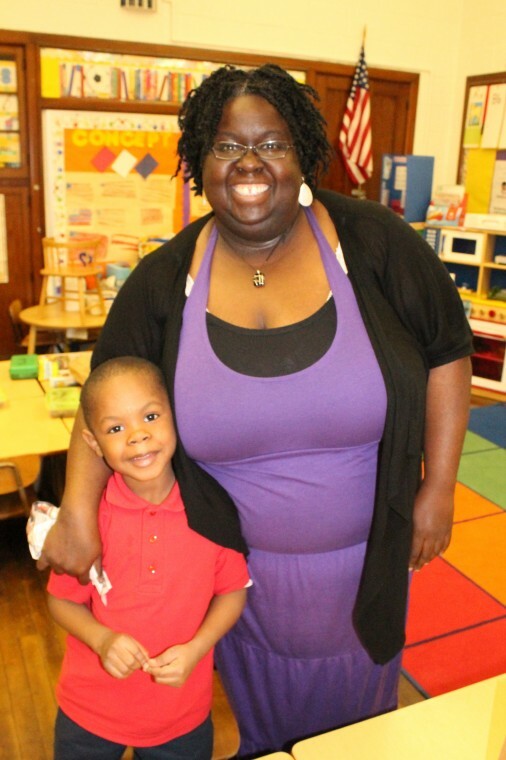 Wilson credits her passionate teachers for the academic success of students, using a cross-curriculum method when teaching all lessons and being creative to ensure students are engaged. 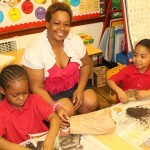 Nancy Pryor, who teaches middle school social studies, said she uses current events and wears various costumes. 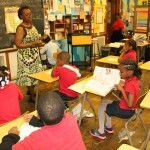 For instance, when teaching students about the Civil War, she wears a hat that resembles the Confederate Flag. 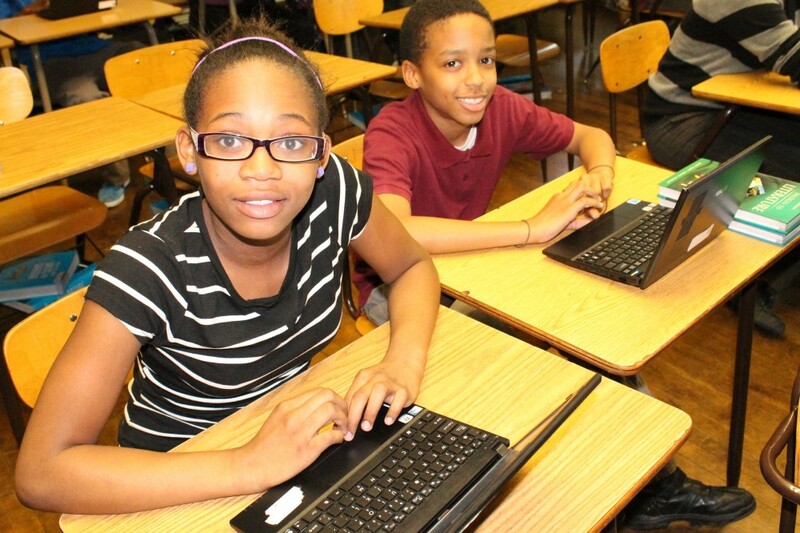 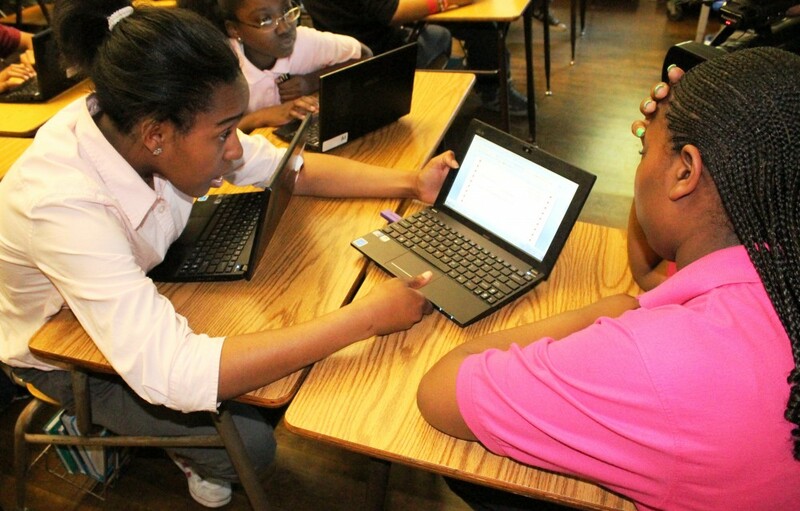 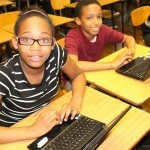 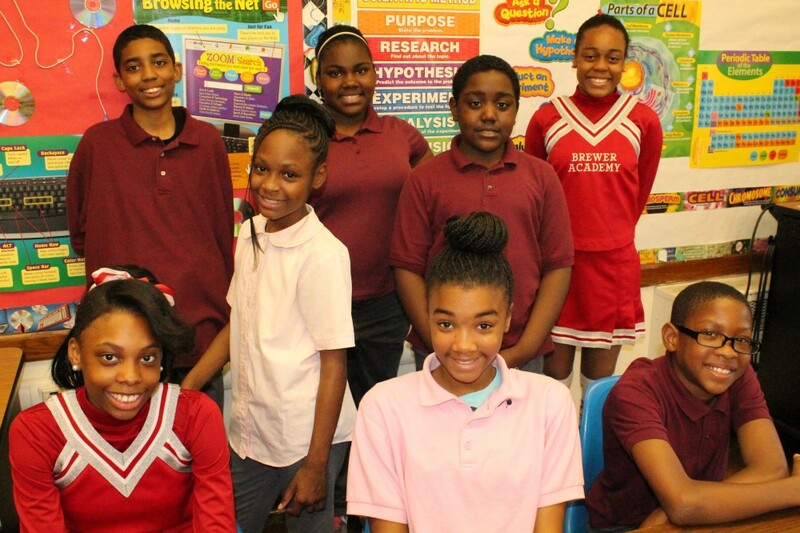 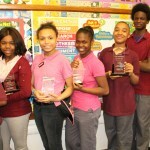 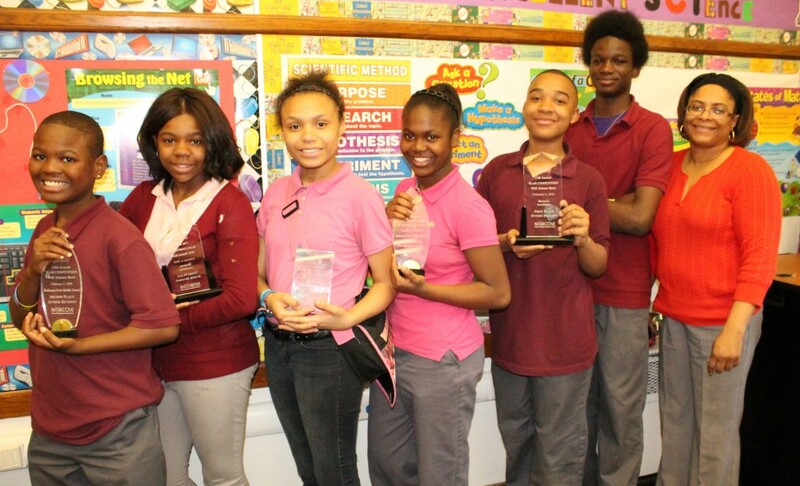 More offerings: Netbooks; Science Bowl; Science Fair; DAPCEP; Newspaper Club, where four young men complete all writing, editing and proofing of the school’s newspaper; Mathematics Club; Country of the Month; Word of the Week; Study Island; Poetry Club; Basketball; Cheerleading and more. 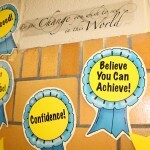 Every week, Principal Wilson writes an inspirational poem to her teachers to let them know they are appreciated. 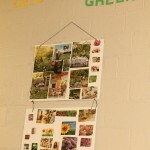 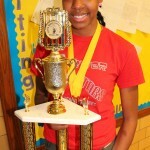 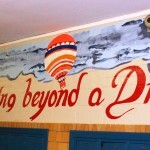 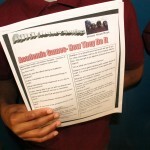 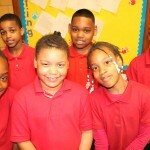 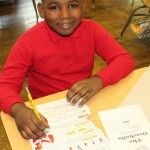 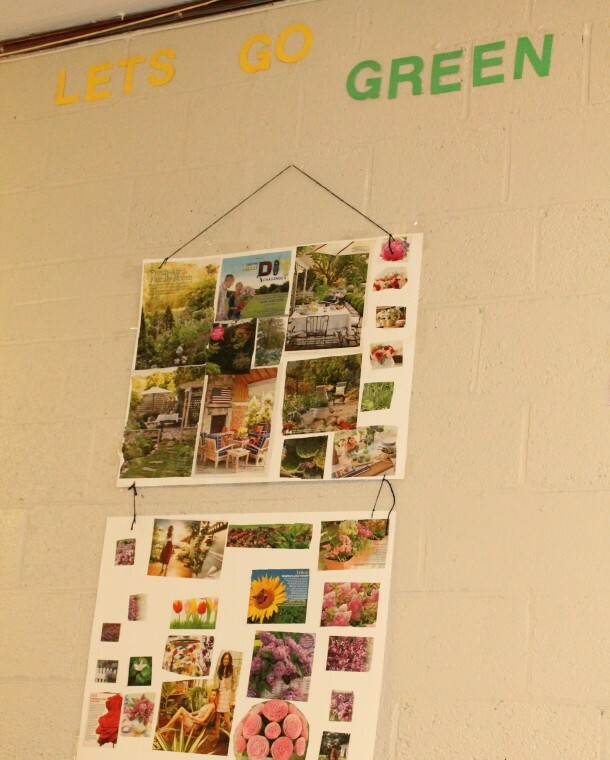 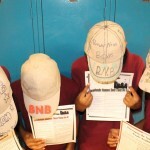 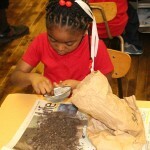 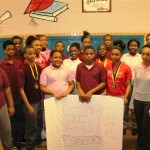 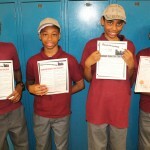 This entry was posted in Info News Center, News and Press Releases, Student Showcase and tagged 769, School of the Week.